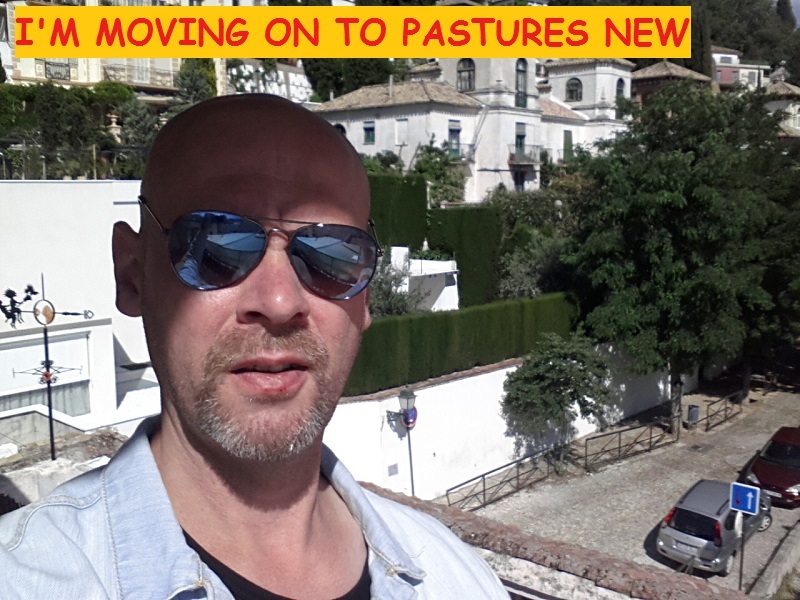 I’ve enjoyed my time in Granada, but it’s time to move on and I’ll be leaving in a few hours time. I originally only planned to stay for one month, but the weather is so nice and it’s such a beautiful city I extended my stay for an extra four weeks. Doing so also enabled me to concentrate on my work. When I move from one city to the next or change countries I often lose a full day of work. Sometimes it can even cost me two days of work. I don’t mind writing on buses and trains, but I don’t always have an internet connection or a power socket and quite often, even if there is a flip-down table, there just isn’t enough space to work. Airports can be a better bet though and I will be spending time in a couple of those today. I came to Granada by bus. I’ll be leaving by plane. I’ve decided to head north while it’s still nice and warm. I’m going to Germany but will have to change planes in Mallorca. I’ll be on the island for a couple of hours, so I’m hoping to get in a little work. As is always the case, the need to fit in with luggage restriction as forced me to take inventory of my possessions and get rid of a few things I can do without. My beige jeans had to go. Jeans are heavy and the pockets in that pair were always a little too shallow for comfortable use. My black wool jumper has found a new home in the bin as well, as have the skiing gloves I bought in the Netherlands to use while I riding my scooter in winter. I don’t plan on experiencing winter weather this year, or for the foreseeable future, so I don’t see the sense of carrying around winter wear. My spare pair of sunglasses had to go too, as did the presentation case that came with my new Festina watch. I bought the sunglasses from a store at Caparica Beach when I was living in Portugal earlier this year. They cost me €27, but I never really liked them. I just needed them at the time because I was having problems with my eyes. I have €3 pair of sunglasses I bought from Primark at the Nevada Shopping centre. They may have been cheap to buy, but I like them the best so they’re the ones I’m taking to Germany with me. My thick wool socks had to go in the bin as well and I also got rid of a pink T-shirt that was starting to show its age. I was always okay as far as the weight restrictions went, but the airlines I’m using this time seem to be stricter on luggage height and width so if I fill my backpack to the max, it will be too high to go. I don’t mind. Getting rid of more stuff is always a liberating experience.